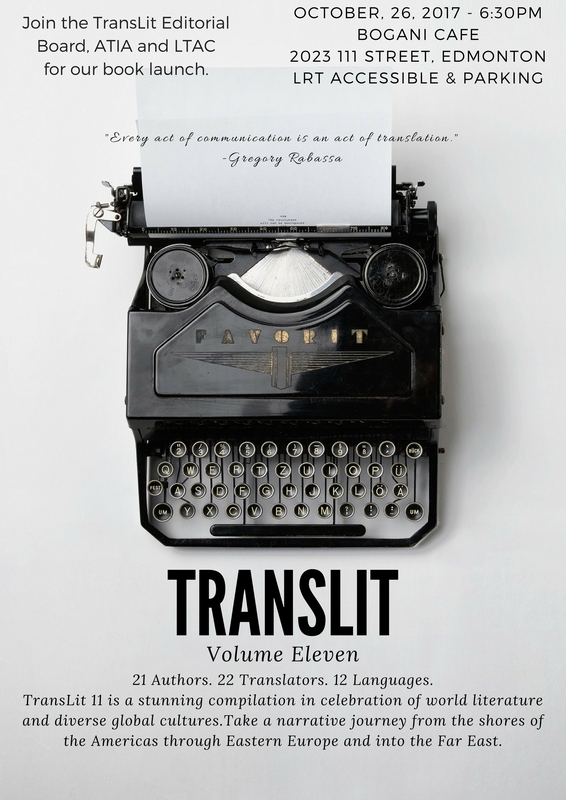 The TransLit Editiorial Board, in cooperation with the Association of Translators and Interpreters of Alberta (ATIA) and the Literary Translators’ Association of Canada (LTAC), is proud to invite you to our book launch in celebration of TransLit: Volume 11. This is a public event. Feel free to share with friends, colleagues and other literary enthusiasts. Please RSVP here in order to make arrangements for attendees. There is no cost associated with this event.